Insulation is critical to maintaining a consistent ambient temperature in your building. As energy costs continue to rise in Southern California and Title 24 specifications become more stringent, adding insulation to your residence or commercial building has become a critical prescription to reducing energy demands. Insulation comes in three primary applications; rigid polyiso insulation, expanding blown-in insulation (fiberglass and cellulose) and rolled batt insulation (fiberglass and cellulose).  Each insulation system carries its own unique features, characterisitcs and energy-saving R-values, allowing Chandler's Roofing to install a well insulated roofing system in almost any structure, for any environment in Southern California. Puts insulation where you want it. Fiberglas™ insulation releases and expands completely inside the machine. Optimized process for minimal handling. Insulate exterior wall cavities with at least R-15 fiberglass insulation, covered with PROPink® Rigid Foam Insulation, and wrap with PINKWRAP® Housewrap sealed with BILD-R-TAPE®construction tape. This combination helps provide effective moisture management and air sealing to keep your home comfortable.